Group photo of HCU’s first International Symposium participants. 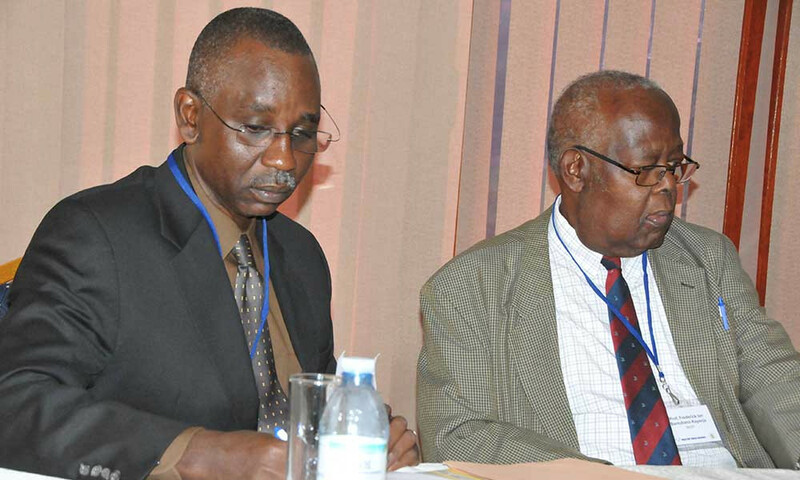 Mr. Collins Mwesigye, Program Officer, World Health Organization, with Professor Kayanja, MUST Vice-Chancellor. 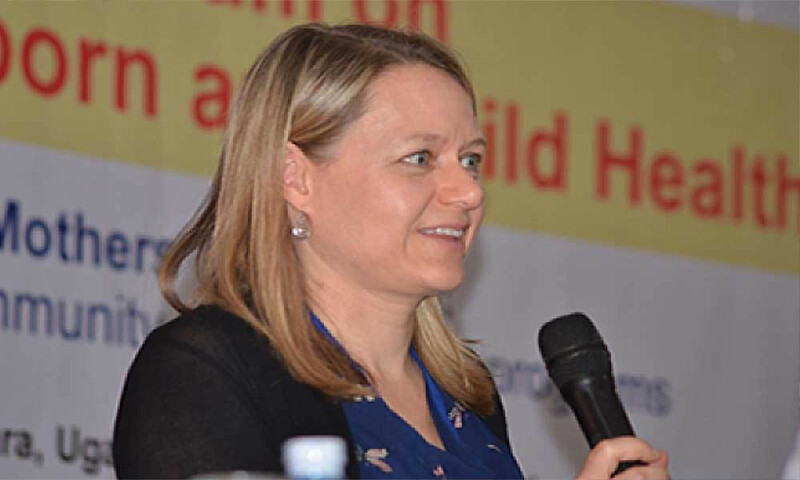 Dr. Jenn Brenner, Canadian Director of Healthy Child Uganda. Official launch of the Maternal, Newborn and Child Health Institute (MNCHI). 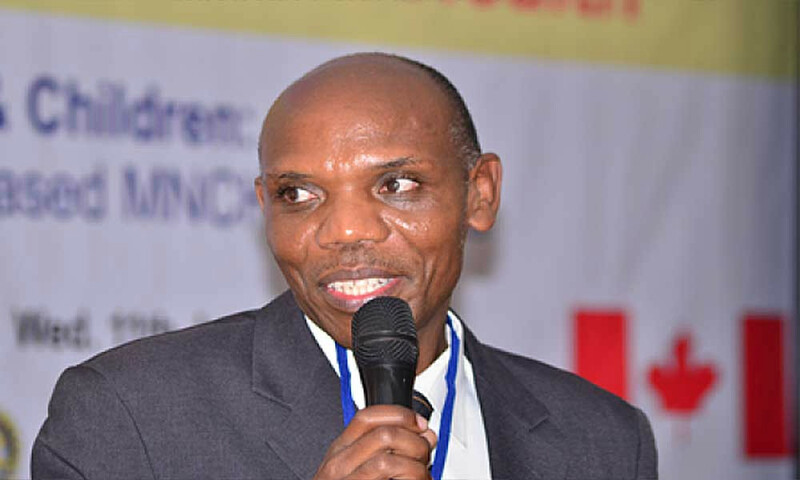 Prof. Jerome Kabakyenga, Director Maternal Newborn and Child Health Institute. 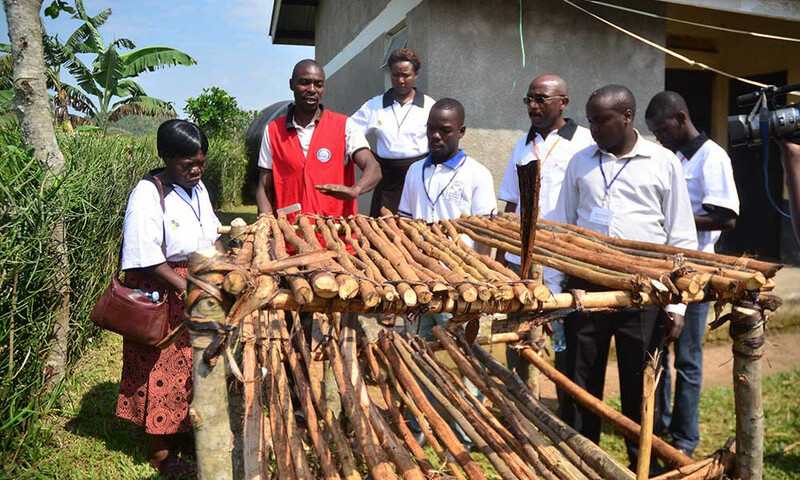 A VHT demonstrates how to put up a model drying rack for Kibaazi Health Centre. 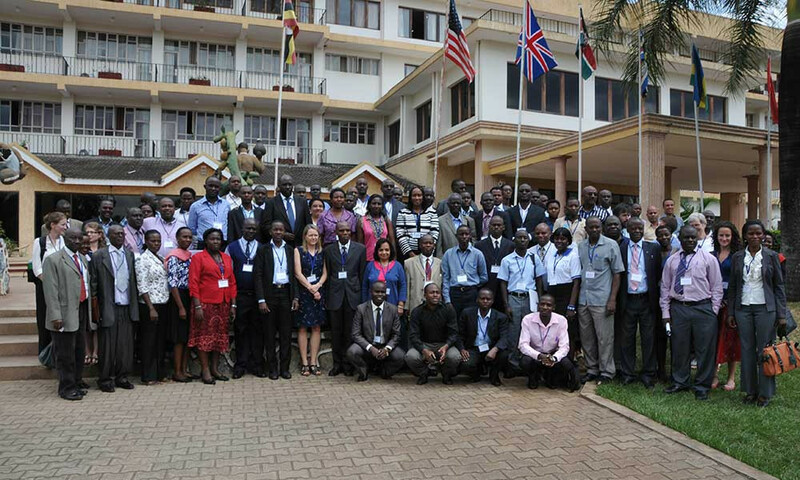 Healthy Child Uganda held an International Symposium on June 11th, 2014 at Lake View Hotel in Mbarara, Uganda. 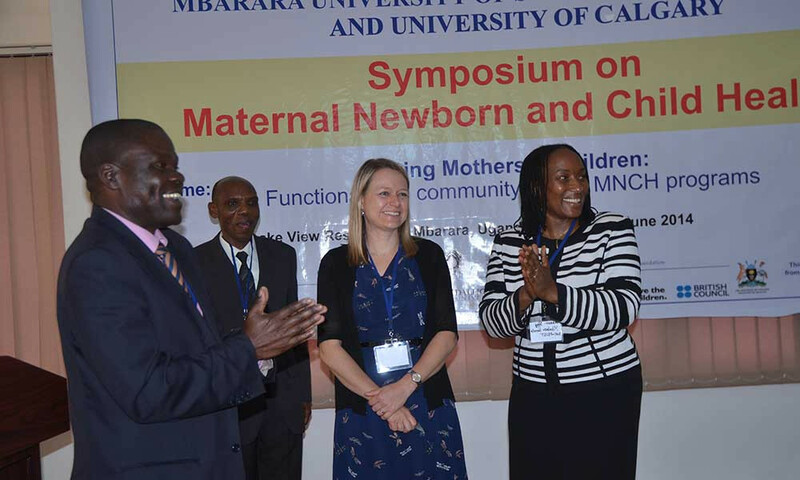 The theme of the Symposium was “Saving Mothers and Children: Functionalizing Community-based MNCH Programs.” The Symposium also featured the official launch of the Maternal, Newborn and Child Health Institute (MNCHI). They covered a variety of MNCH topics as speakers shared experiences and best practice in scaling up initiatives. 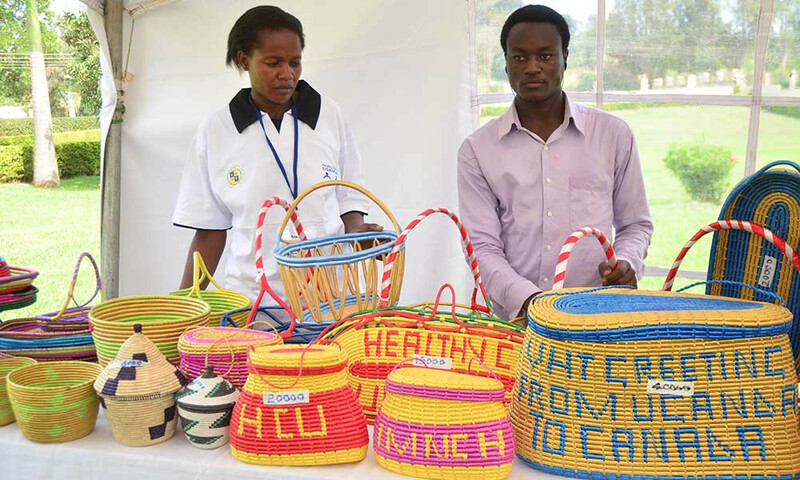 The event included an Ideas Marketplace, as well as a field excursion following the Symposium, to provide a real field experience, showcasing MNCH programming in action in communities and at health facilities. VHT Crafts at the Symposium Marketplace. The Symposium was well attended with over 140 participants, which included key stakeholders at the regional, national and international level. Participants included representatives from the World Health Organization, UNICEF, UNFPA, the Uganda Ministry of Health, District Government representatives, NGOs, such as Save the Children, Red Cross, and Marie Stopes, in addition to a number of University representatives from MUST, Canada, Tanzania, South Sudan, United States, and the United Kingdom.